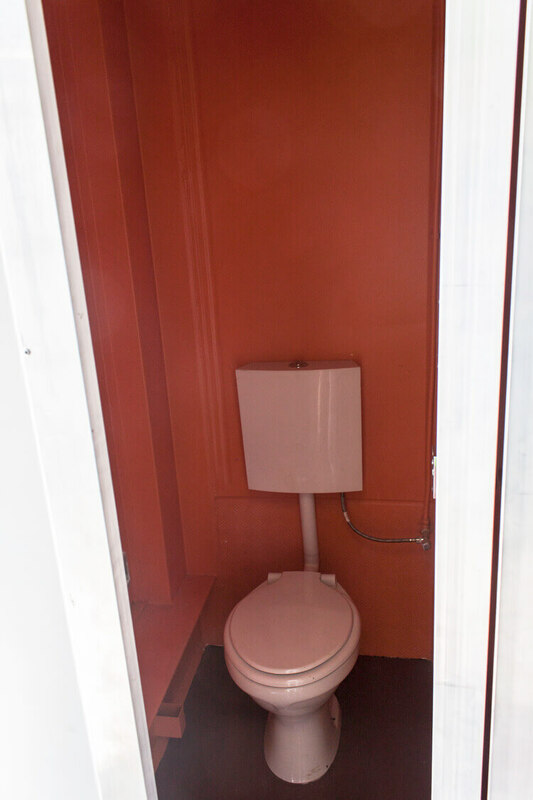 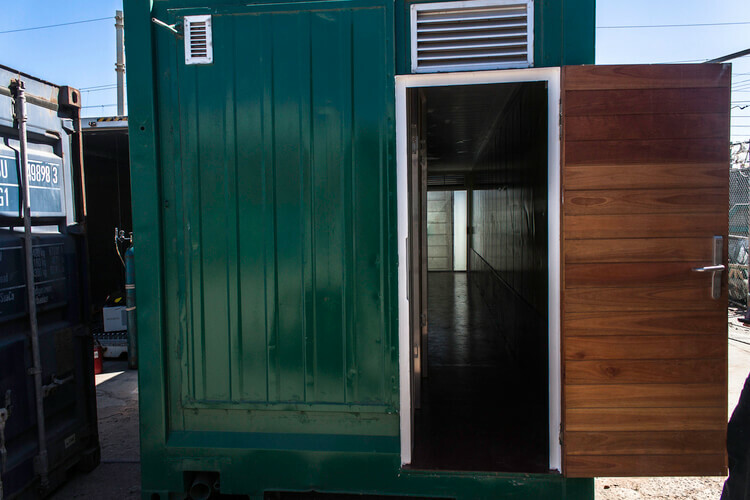 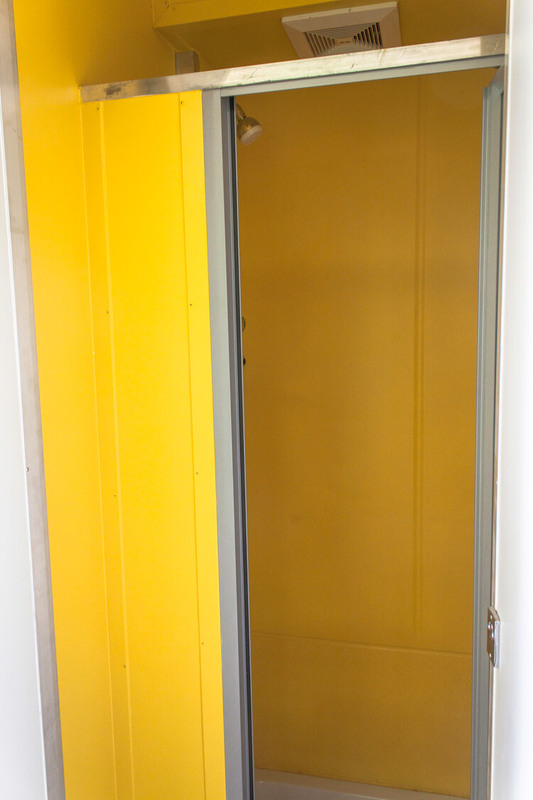 The pod has a self-contained toilet, a shower and hand wash basin. 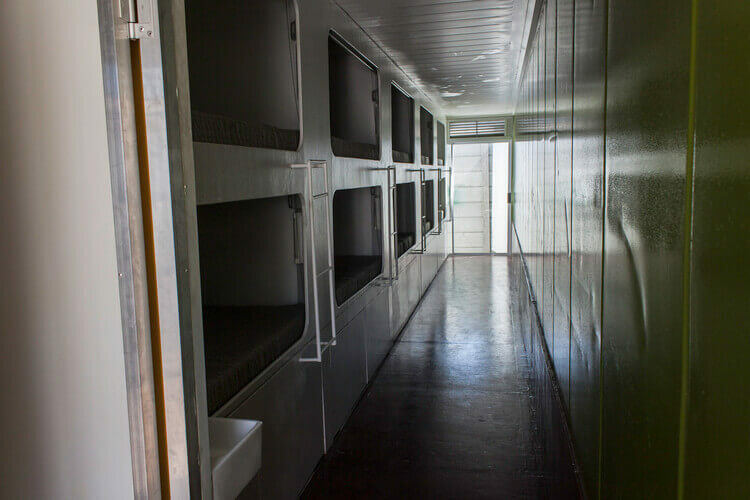 There are 10 sleeping compartments. 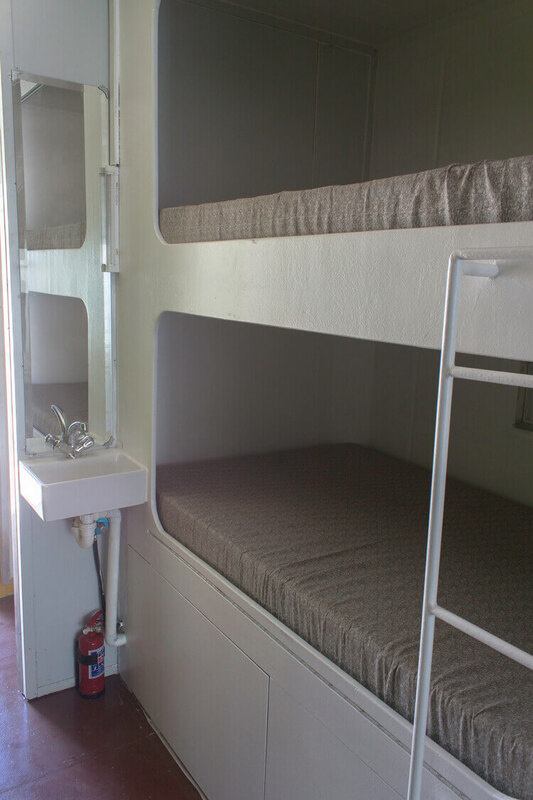 Storage for luggage is provided by 10 roll out boxes under the bottom bunk.